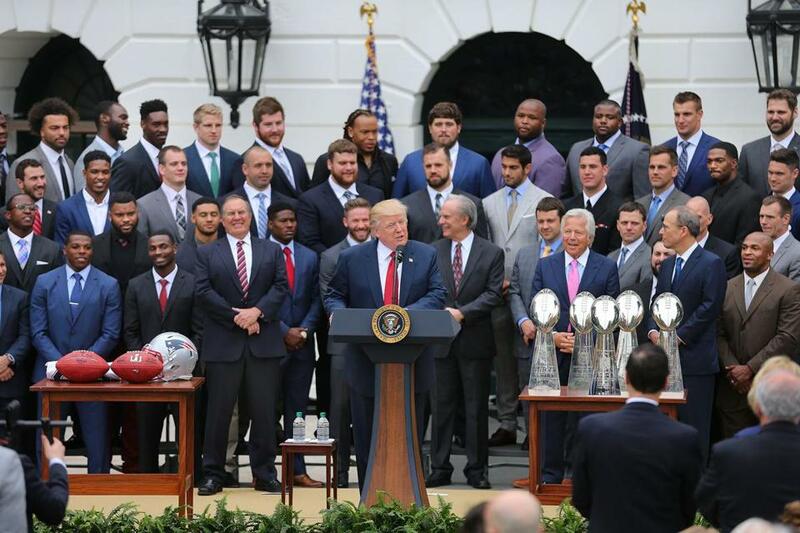 The Patriots made their long-awaited visit to the White House today to celebrate their Super Bowl LI victory, albeit without almost 20 players who declined to attend. While some news organizations compared photos from last year's visit to this one in order to suggest there was a much lower turnout, they weren't quite true: in 2015, the Pats had over 40 team employees standing on the steps behind the players. This time around, the team opted to seat the personnel on the South Lawn and out of the picture. Of the players who declined to attend, many cited family conflicts (like Tom Brady) or simply didn't see the point of going back to the White House after they went just two years ago. However, others turned down the invitation based on the man sending it out: President Donald Trump. 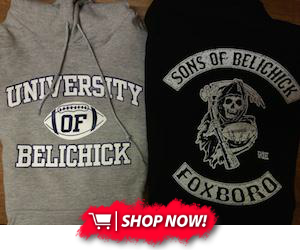 Key players like Devin McCourty, Martellus Bennett, Chris Long, Alan Branch, and others were all absent for political reasons. Overall, it looked like the visit went well for most everybody involved. But while it may have been fun to take a trip to Washington DC, it's back to work now for all the Patriots staff. With the draft just a week away and offseason OTAs on the horizon, it's going to be a busy couple of weeks for the coaches and front office.